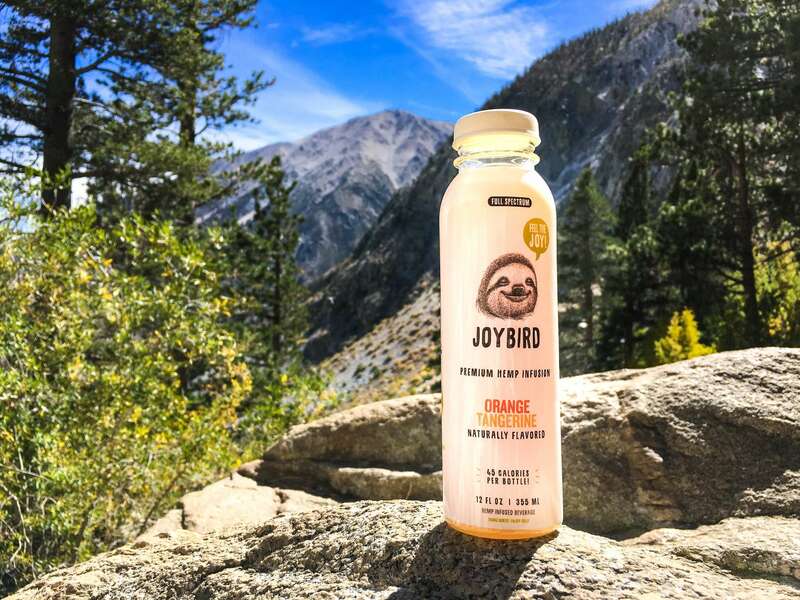 When we heard about Joybird’s debut into the CBD market at a yoga event called CBD Balance Flow at an Artist Collective in downtown LA, we couldn’t wait to try it. At CBD School, we’re obviously big fans of CBD. We also practice yoga regularly. So when a CBD beverage made their first collaborative event one that’s mixed with yoga, our curiosity was definitely peaked. We literally try countless new CBD products all the time. It’s part of our mission to provide you with the most accurate, up-to-date information on CBD there is. We’re here to share our honest opinions of products available and through these reviews, help you make an informed decision when it comes to choosing quality CBD. That being said, Joybird beverages come in 12oz bottles in three different flavors: Mixed Berries, Apple Cranberry, and Orange Tangerine. The ingredients are: purified water, juice concentrate, natural flavor, erythritol (a natural sugar replacement known also known as sugar alcohol), hemp oil emulsion, citric acid, and organic stevia extract. No artificial anything, which is great for those who like to keep things natural. As far as taste is concerned, each flavor was distinct, yet not overpowering in the slightest. Quite similar to Emergen-C, or a bit like a fizzy PowerAde. Mixed Berries was our favorite, but berry also happens to be our favorite CBD gummy, jellybean, and hard candy flavor too. With the option of Apple Cranberry and Orange Tangerine though, we’re there’s something sure to please just about anyone’s palate. Each bottle contains 8mg of full spectrum CBD made from organic hemp grown in the US (this isn’t something we could find on the label though, which is helpful when you’re interested in consuming a specific milligram count). We did, however, find on the label that it says it includes 9mg phytocannabinoids. Our understanding of this is that the product contains a total of 9mg of cannabinoids from hemp. Of those 9, 8mg are CBD. Did we feel a difference? Perhaps, slightly. Some 40 minutes after starting on a bottle that took us approximately 15 minutes to sip on, we definitely noticed that the lower back pain we’d been experiencing after a long day of sitting at the computer just sort of melted away. Come to think of it, so did the stress of the day. Maybe the absorption technique they use is actually doing what they claim it does! Let’s talk labels. In an industry where an aesthetically-pleasing package is everything, it’s important to have a label that’s pleasing to the eye. 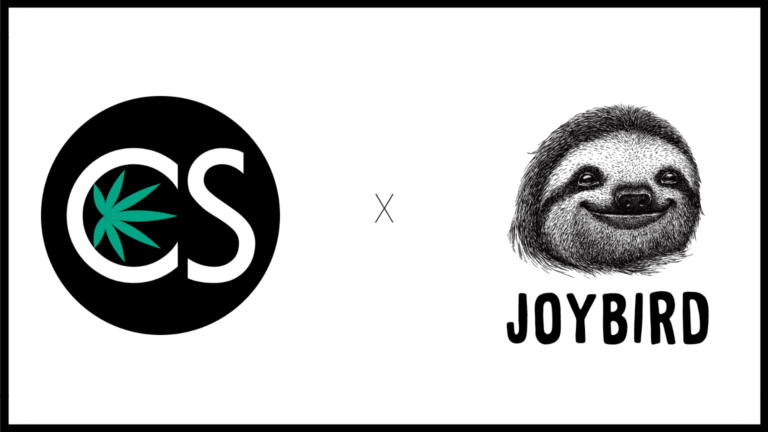 Joybird chose a cute sloth for their logo and branding. While we’re not so sure what the sloth has to do with CBD, we liked the uniques art. It’s a fresh new spin to the typical look and feel of CBD beverages. What do we like most about Joybird Wellness CBD? For one, CBD beverages are a fun and easy way to take CBD. They can be taken on the go, and are perfect before yoga, refreshing after a run or long bike ride, and an awesome way to get in some post-workout recovery. Maybe we didn’t shake the bottle gently enough? Not sure, as we were a little skeptical to shake the others before we tried them. Just something to keep in mind when you try it. CBD infused drinks are awesome to take to the gym pre or post-workout…and the last thing you want at the gym is a sticky drink spilling out all over the place. If you haven’t heard, CBD drinks are becoming an extremely popular way of taking CBD. There are CBD cocktails being concocted at countless upscale bars and restaurants in areas hip to setting trends (think LA, San Francisco, and New York City). CBD coffee is trending at coffee shops, and most companies selling CBD now have at least a one drink option on their product list. Joybird’s selling points include: a sense of relaxation, relief from muscle aches and pains, and better sleep. We honestly noticed all three after drinking a bottle. Especially an increased sense of relaxation and relief from that sore lower back. Joybird Wellness set out to make a CBD drink that offered relaxation, relief from aches and pains, and better sleep. We believe they succeeded in what they’ve intended to do. Their drinks are refreshing, taste good, and stood up to the claims the company has made. We love that there are no artificial colors or flavors and that they’re naturally sweetened with only 8g of sugar per bottle. Plus, they only contain 40 calories. We’re excited to see how the future turns out for this new company that’s made its way into the CBD beverage market. The future of Joybird is bound to soar. 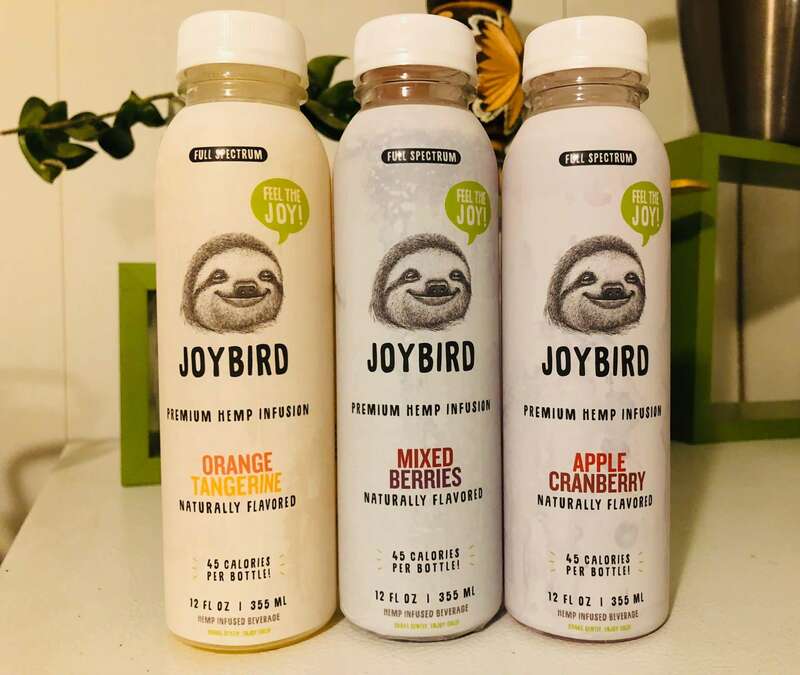 Click here to try Joybird’s CBD Drinks for yourself today!